I need a video driver in order to install X, and then OpenBox or other desktop manager. all the vbox drivers are loaded. include the drivers into rc.local. 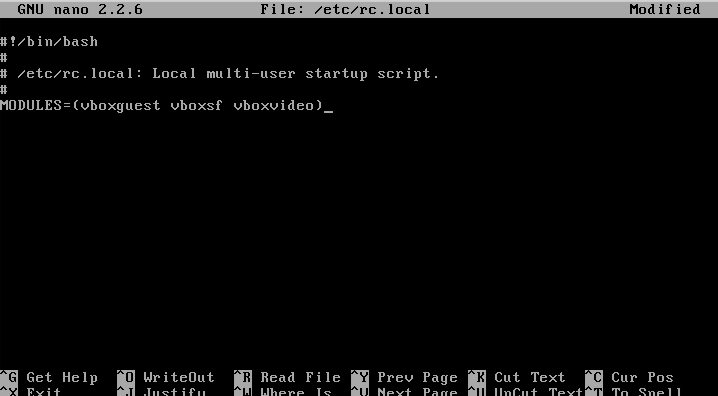 /etc/rc.local is the system script file, when Linux has booted up Linux will look for rc.local for additional contents. Think of rc.local like Windows startup folder. This entry was posted in Linux, System OS and tagged arch, arch linux, vbox, virtualbox guest additions. Bookmark the permalink.